The Bible as the complete divine revelation is profound, and although it reveals many truths, its basic revelation comprises seven crucial topics – God’s plan, Christ’s redemption, the Spirit’s application, the believers, the church, the kingdom, and the New Jerusalem. 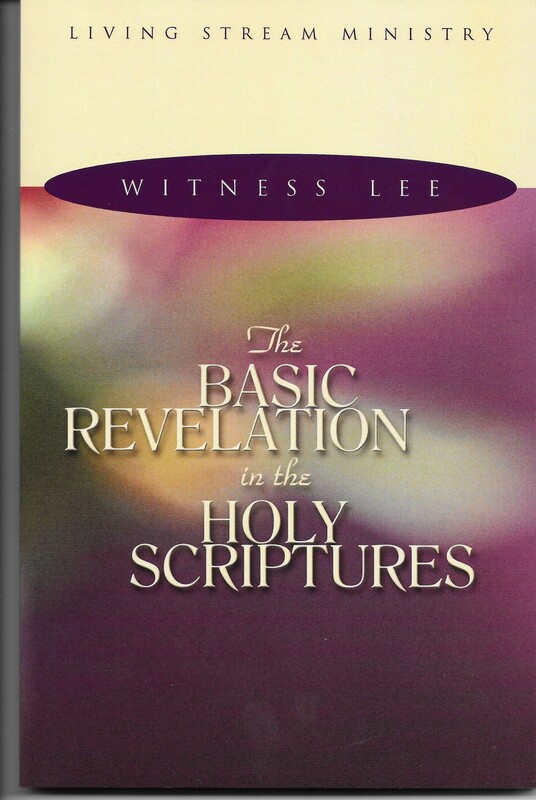 In The Basic Revelation in the Holy Scriptures Witness Lee provides a clear view of the Bible so that the intrinsic contents of the Holy Scriptures can be understood and experienced. We are shown that God’s plan to impart Himself as life to man involves selection, predestination, and creation; that Christ accomplished God’s plan through His redemption; and that the Spirit applies all that the Father planned and the Son accomplished to the believers, who are the church. We also see that the kingdom, the sphere or realm where God carries out His purpose, will consummate in the New Jerusalem as the ultimate expression of the divine life, fulfilling the desire of God’s heart.